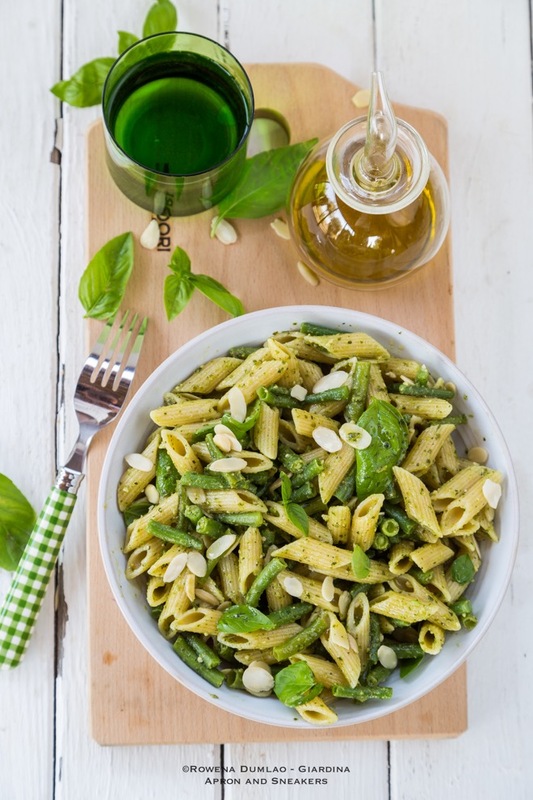 Inspite of this green allergy at home, my husband and I enjoyed one of the healthiest and freshest pasta dish I ever made. I made the pesto from my own basil plants, extra virgin olive oil, pine nuts, garlic and Parmigiano Reggiano. Truth be told, I did not bash them in my mortar and pestle but instead, I opted for the easier and faster way which is with the immersion blender. In this recipe, use a store bought one if you cannot make your own. 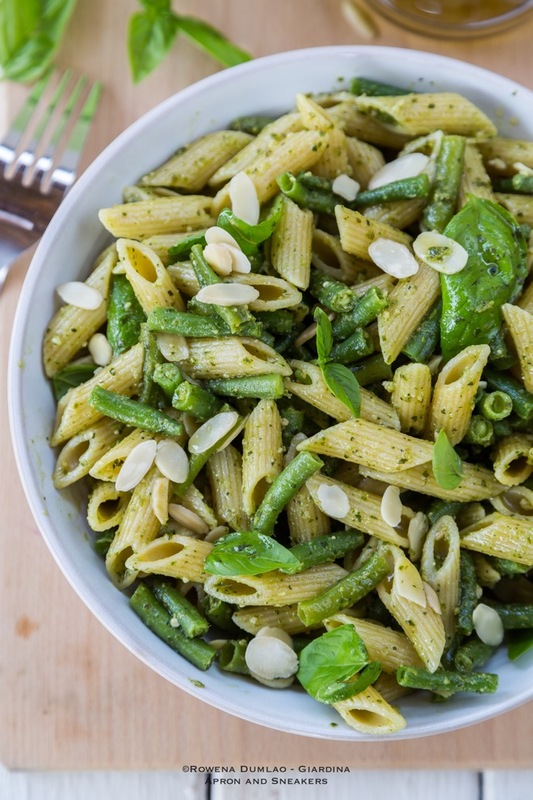 Just be mindful of the ingredients that are in the pesto that you buy. I mixed in the almonds, blanched green beans more fresh basil and extra virgin olive oil. Extra virgin olive oil is very healthy so don't cringe when you pour a lot on your food. You have to see how much of this wonderful oil is consumed here in Italy. My own kids contribute to this big consumption too. Use whatever kind of pasta you have but I suggest a shape the traps the sauce in its crevices. At home, I use penne rigate (furrowed) a lot because it is the easiest shape that the kids can handle plus it has the ridges to capture the sauce. 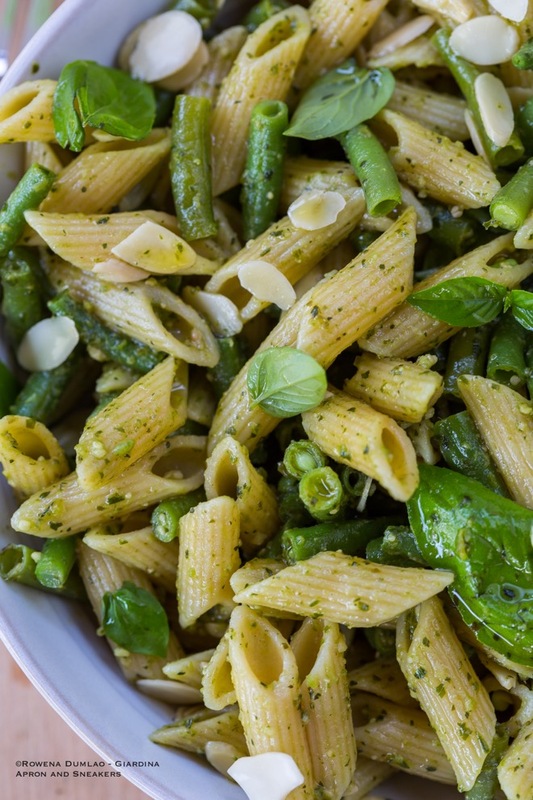 This is a delicious pasta dish to put together before the summer ends and the basil plants start to dwindle. Basil is a very nutritious herb that is high in Vitamin A, C & K, manganese, copper and a whole load of other nutrients. 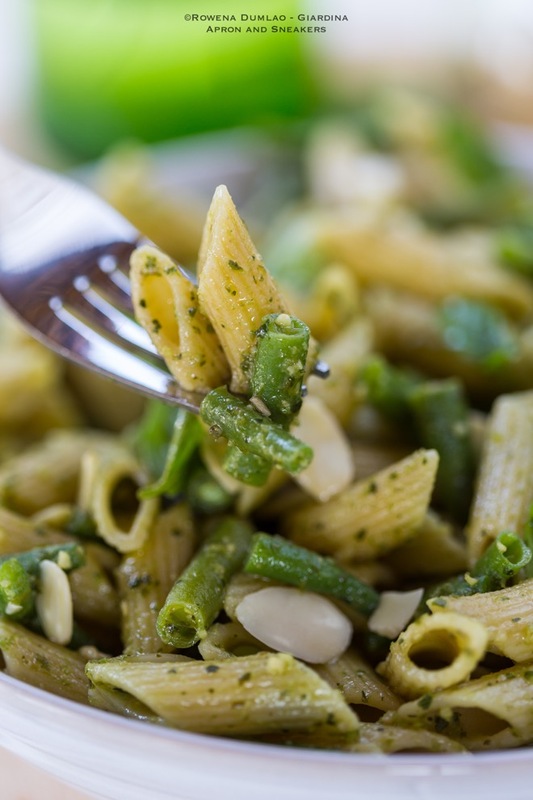 For this Pasta with Green Beans and Pesto recipe, get it at Skinny Ms., a site dedicated to a healthy living and where I create recipes. Until next time and have a great week!